We at Seikatsu Kakumei were proud to participate in International Robot Exhibition (iREX) 2017 at Tokyo Big Sight, a showcase of the latest in robot technology from around the world. 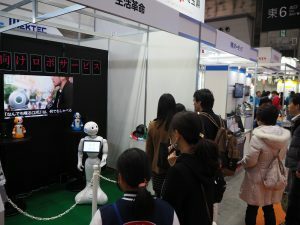 The event held a particular focus on service robots, along with AI, big data, and network development innovations. 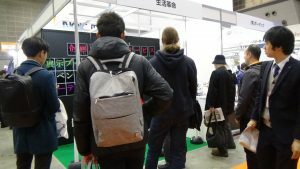 A record breaking number of over 130,000 visitors came over the course of the trade show, which took place from November 29 to December 2. Our robots a hit with everyone – from kids to corporate agents! 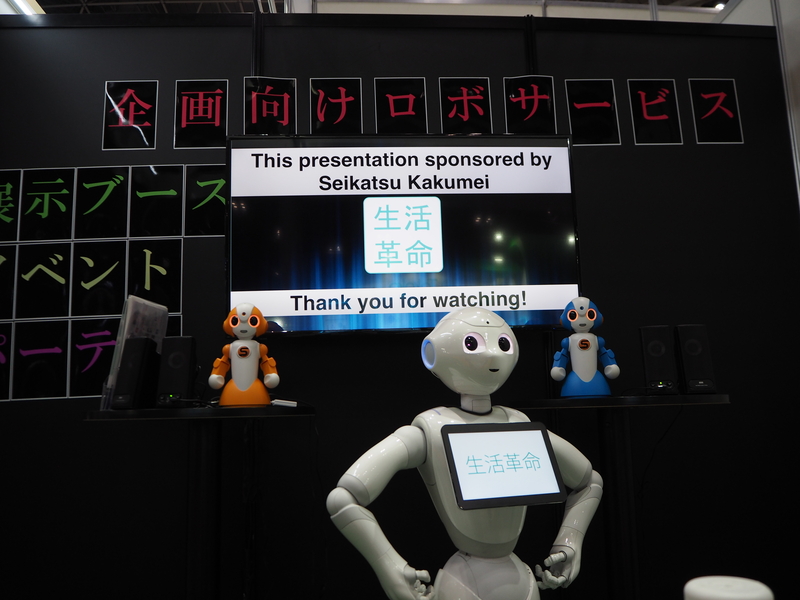 Alongside our staff stood our star robots Pepper and Sota, featuring demonstrations of their Robot Party Reception Service and business presentation services in English, Japanese, and Chinese languages. 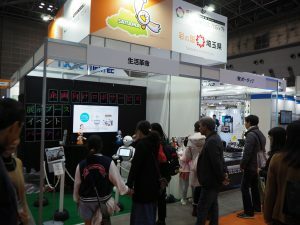 They successfully captured the hearts of corporate representatives and robot enthusiasts alike, who stopped by our booth to watch our presentations and chat with both robots and staff. From children to business professionals, to engineering students, tech hobbyists, even fellow programmers, nobody could resist the charms and unique articulation of our specially developed Pepper and Sota robots! We extend our sincere gratitude to everyone who came by and made this event a success for us, as well as for all of the other robot development and software programming companies who exhibited their latest and greatest projects. 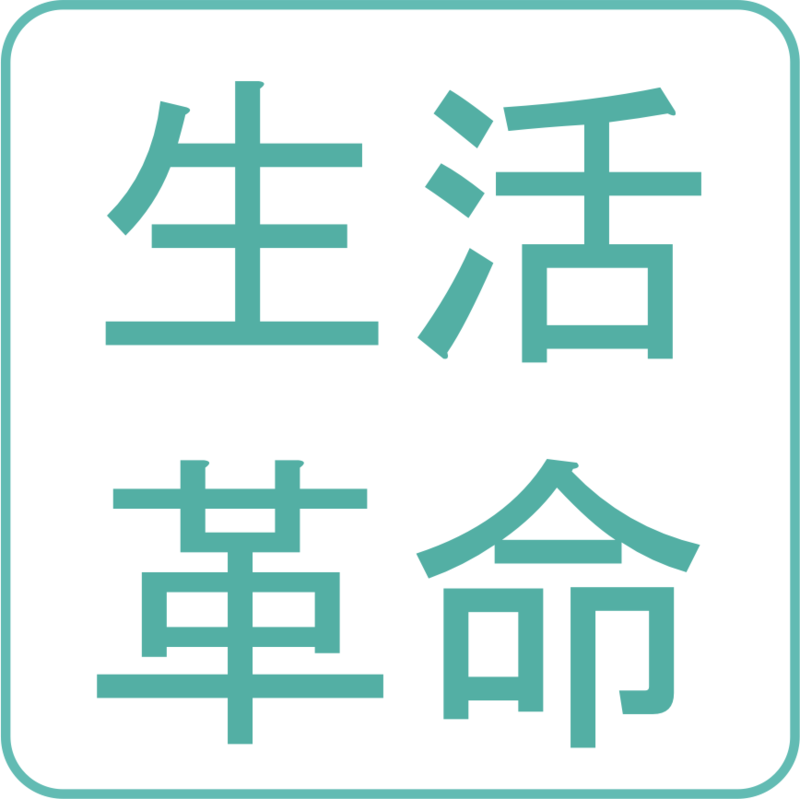 As the horizon continues to expand over the field of robotic applications, we at Seikatsu Kakumei strive to develop and offer the highest quality products and services available. We seek to maintain our place at the cutting edge of innovation in this rapidly growing and competitive industry for 2018 and beyond. Seikatsu Kakumei’s robotic technology can enhance your company’s next trade show appearance, too. Contact us today for a consultation, so that we can explore solutions together and select the right fit for you. ← Free X’mas Family Service – Chat with our Robots and Get in the Christmas Spirit!